TeamSQL comes with built-in templates to guide you as you create new procedures or statements that change your databases. In this article, we’ll cover using the CREATE Procedure and INSERT INTO Statement Templates. 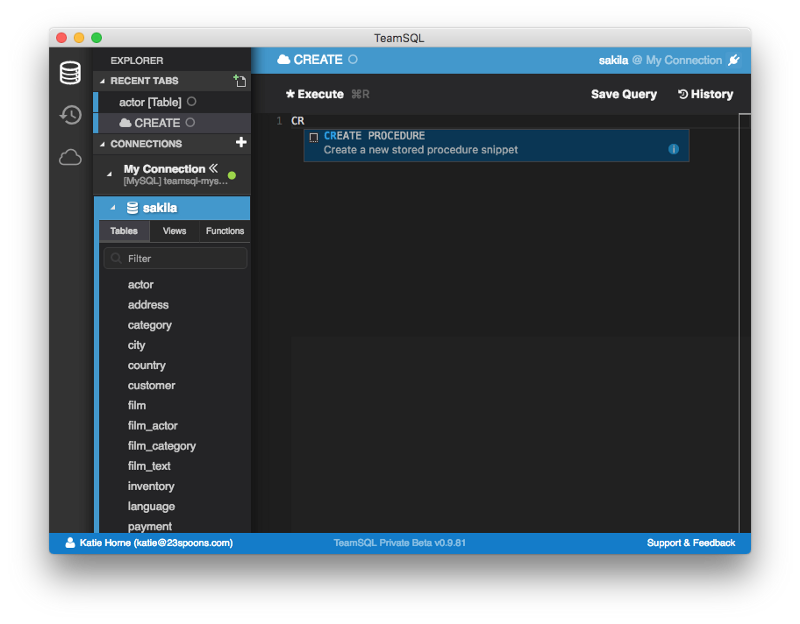 In a new TeamSQL query tab, begin typing CREATE. Notice that, as you type, the drop-down menu of options filters. When you see CREATE PROCEDURE highlighted, you can hit the ENTER key to populate the window with a CREATE stored procedure snippet. You can now edit the snippet as needed. Once done, you can click Execute to run your code. Be sure to click Save Query to persist your changes. 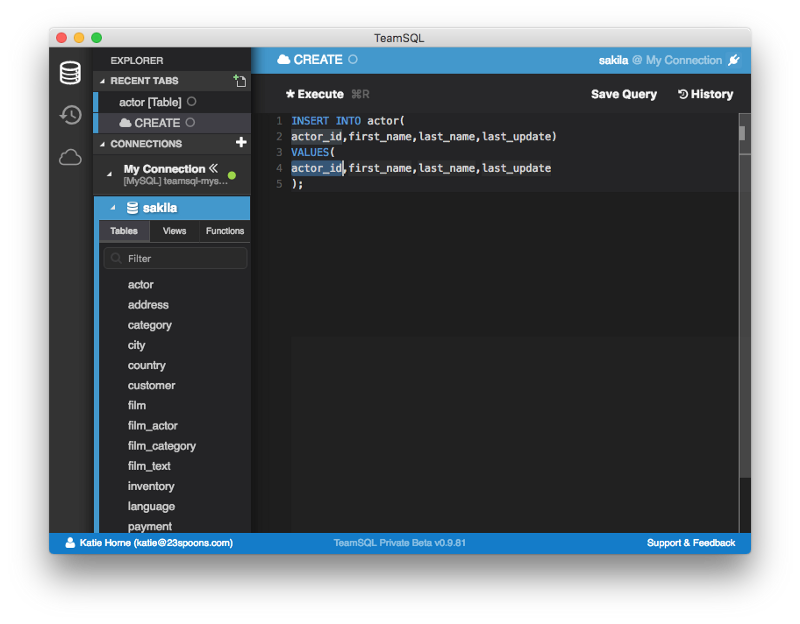 In a new TeamSQL query tab, begin typing INSERT INTO. Notice that, as you type, the drop-down menu of options filters. Because you must insert data into an existing table, you’ll need to choose the table into which you want to add data. Using the up/down arrows, highlight the table in which you’re interested and hit the ENTER key to populate the window with the appropriate INSERT INTO statement.